Introducing our newest product at The Village of Springbrook condo community - a new concept in Quads featuring quality construction by EG Stoltzfus Homes. Beautifully appointed with 9' ceilings on first floor, master bedroom with tray ceilings, rounded drywall corners & stately arched openings. 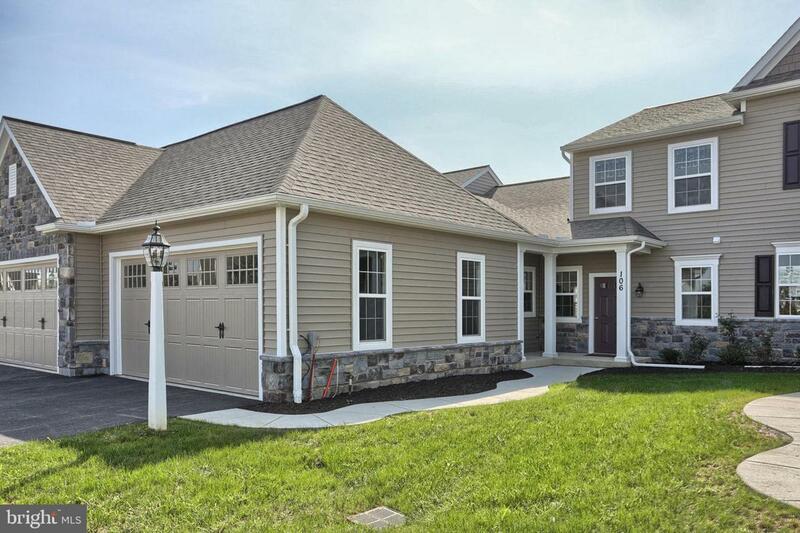 Choose either a 1 story or 2 story home, both featuring a 1st floor master suite, cheerful sunroom & 2 car garage. Enjoy a carefree lifestyle with low monthly association fee covering lawn care and snow removal. Kitchen highlights include granite kitchen counters, tile backsplash, and slate appliances. Upgraded laminate flooring in the entry area welcomes guests and flows nicely into the dining area and kitchen. This spec home is finished and ready for quick settlement.